Chart samples are useful for numerous reasons. As a student, you probably used bar charts and named chart titles to represent statistical data. It may not be the most fun thing to do, but it’s definitely useful in providing a visual representation of a particular data. You may not notice it that much, but we encounter charts a lot in our lives. They provide us with the information we need, then we use this information to make certain decisions. One common example would be that of a size chart. What Is a Size Chart? A size chart is a sheet of data in a form of a table containing size labels, points of measure, and measurement values. 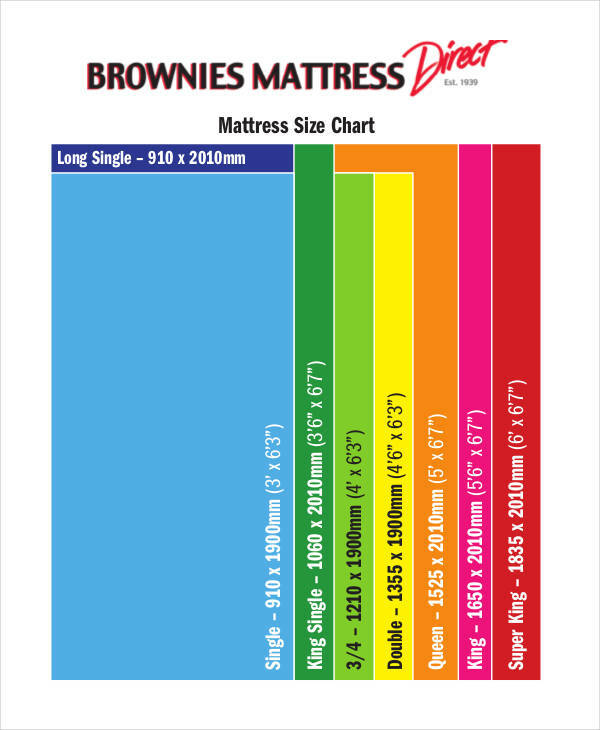 Size charts are made to provide accurate measurements of particular items. This serves as a guide for purchasing clothing items, jewelry, furniture, and more. 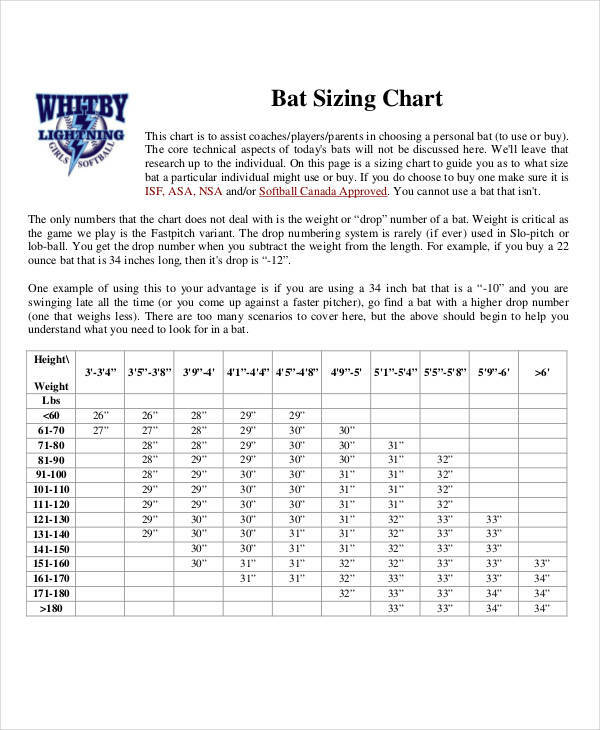 A size chart is just one of the common sample chart examples, another of which includes a growth chart, that we use to determine measurements. 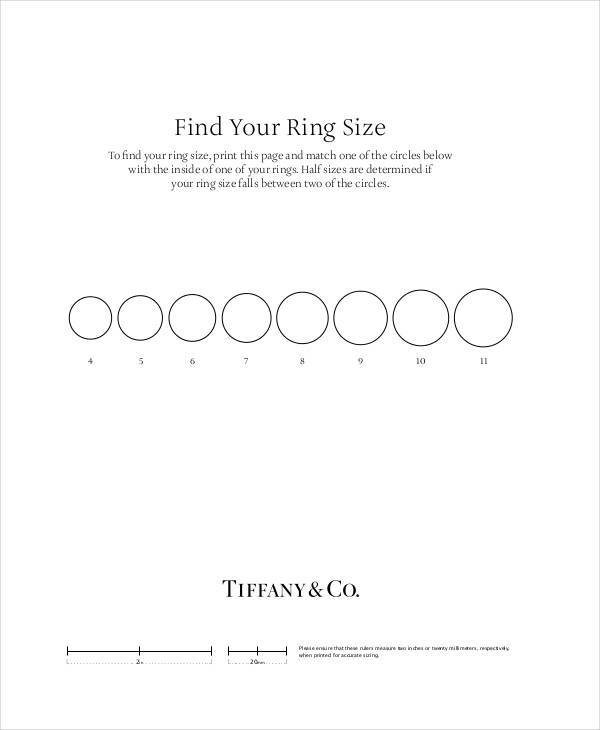 To create a size chart, you need to make it as informative as possible. 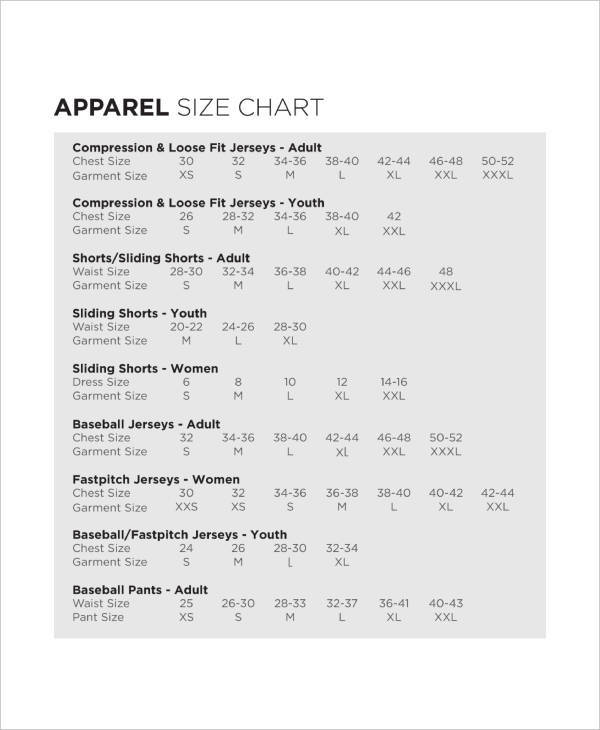 Aside from providing size labels with their corresponding measurement values, it’s good to provide size charts that cater to individuals of different ages and genders. For a more accurate size chart, measurements for standard body parts can also be provided. It’s also important to use unit of measures that are commonly utilized by society. Finally, make sure to arrange the sizes in an ascending or descending manner so it would be easier for customers to understand and compare sizes. Online shopping can be both exhilarating and frustrating at the same time. You know what you want to buy, you find the perfect item, but guess what? You don’t even know if it’s the right size for you. It’s different and much more difficult from regular shopping, where you can just try on an item and see if it fits. With online shopping, you can only hope it fits to save you from the hassle. For companies, selling an apparel can be quite the challenge. Apparels are never truly standardized, as sometimes a size 5 dress from one store can be a size 7 to another. This serves as a problem for retailers and customers alike. This is why most retailers are smart enough to use size charts. 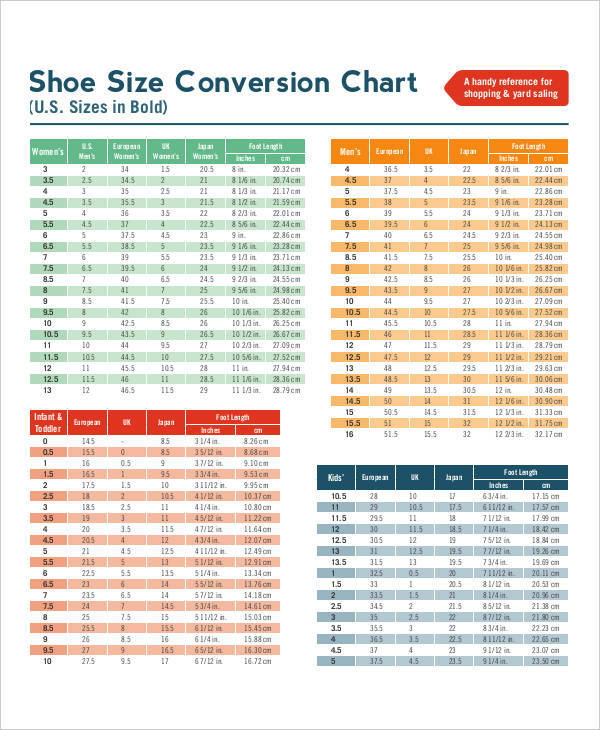 Size charts are easier to use once you are familiar with your own measurements. If not, you could use a tape measure for clarification. Trying on clothing with similar size labels may also be used to draw comparisons, but keep in mind that sizes may vary for various retail stores. 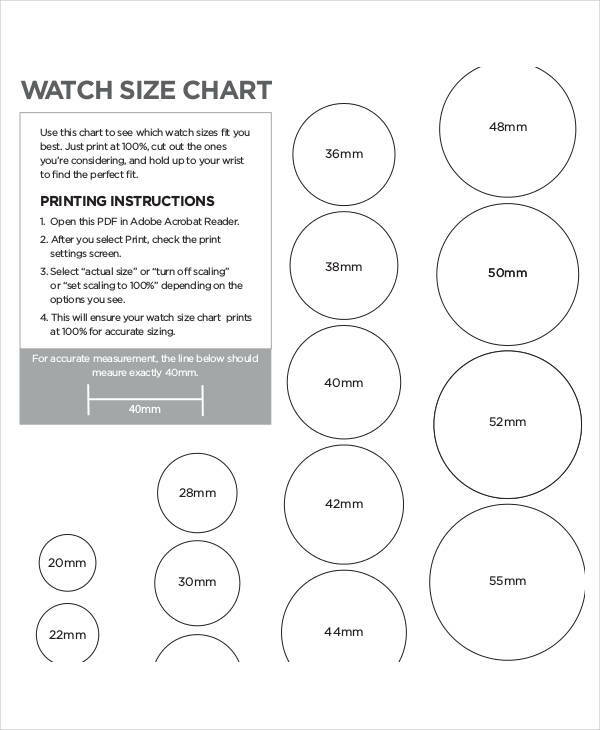 Some size charts are also made for physically assessment, they are designed in a way that customers may have a physical representation of a particular size label. 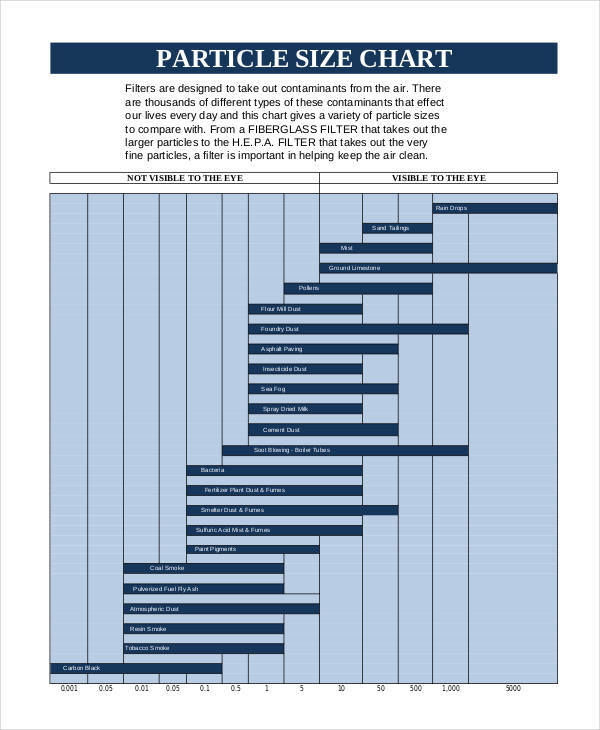 These chart examples in word format may be printed for you to use as your reference.